The Clermont region offers scenic and natural places which many prefer to vacation and relaxation. There are many travelers or visitors to this area during season. For these reasons, you should reserve one of the vehicles from our charter bus rental Clermont service when you’re traveling to this region. For a family or group of friends to travel together, nothing is more convenient than one of our bus charter services. For more information call 813-514-6980. 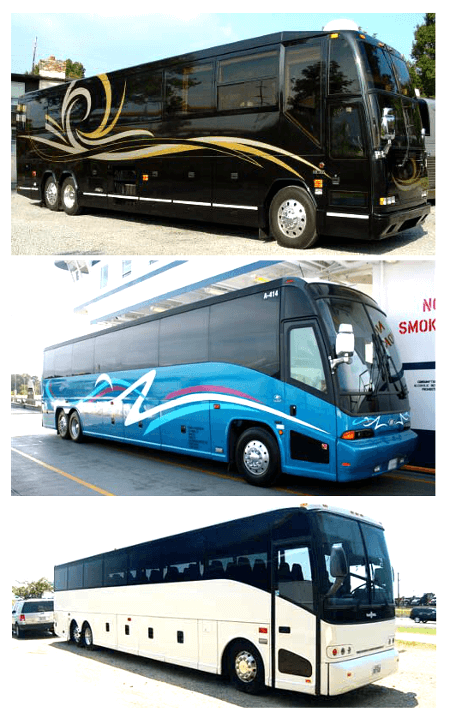 We have several models to choose from our charter bus rental service. You could opt for the 20 passenger mini bus models. These make sense when office transportation needs to be provided on a regular basis. Again, charter bus service makes sense for special occasions like field trips, private tours or wedding tours as well. You might want to take your outing to the next level by renting an affordable Clermont party bus. You might be looking to book 30 passenger shuttle bus models or more for bulk rides. If you wish to, you can find discount rates on bulk bookings on our site. The bus rental vehicles come of different make and models. You could opt for the standard coach models or the limo bus models as well. The latter is fitted with modern amenities and entertainment systems to make the road journeys interesting and fun. In order to book one of the 40 passenger charter bus models you need to call in at the numbers provided, or simply make a booking through our online site. Get today’s special pricing call 813-514-6980. Clermont Historic Village; a visit to this village area will take you back in time. Lake Minneola; it is a waterfront area which is scenic and beautiful. Presidents Hall of Fame; it’s a specialty museum here, which most travelers go to. Lakeridge winery; a vineyard and winery that is a great place for wine tasting. Sky Zone Trampoline Park; check out different adventure activities here. These are some of the scenic places to visit in and around Clermont. For airport shuttle rides you will find the 50 passenger charter bus models on our site more convenient. There are shuttle rides to and from the nearby Central Florida regional airport which you could opt for through our charter bus rental Clermont. These come at specific times and drop off travelers to the airport and fixed destinations. If you want to go the traditional route, we also offer an award winning limousine service in Clermont. You might want to travel and explore the nearby towns and counties of Clermont like Tavares, Mount Dora, Orlando, Eustis, Forest City, Winter Garden, Leesburg, Lockhart, Doctor Phillips, and Apopka. For that reason, you could opt for one of our vehicles through the charter bus Clermont service we provide. It will surely help you discover the ease of traveling long distance without having to pay high rates and getting the flexibility of space and comfort in our luxury coach buses.